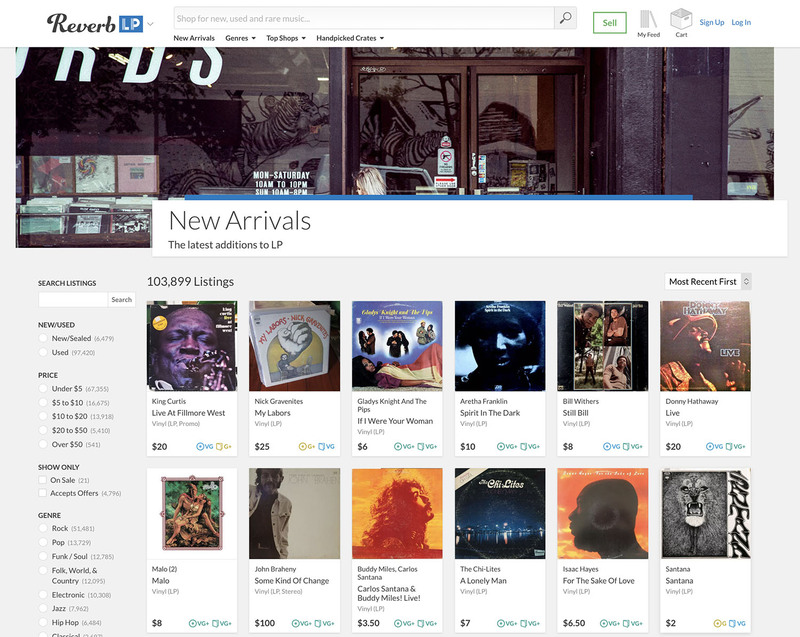 Discogs has become one of the most popular places to buy and sell music among vinyl enthusiasts, but it is not the only place where you can satisfy your collecting needs. Here you have some other online marketplaces where you can look for that record missing in your collection. And if you know some online shop that should be on this list, please let us knlow in the comment section below. Founded by the owners of reverb.com, one of the biggest second-hand instruments marketplaces in the USA. Most of the sellers are ‘brick and mortar’ shops located in the United States, selling their stock. Most of them do not ship to Europe. 5.000 sellers (including collectors and shops) with more than 15.000.000 vinyl records for you. 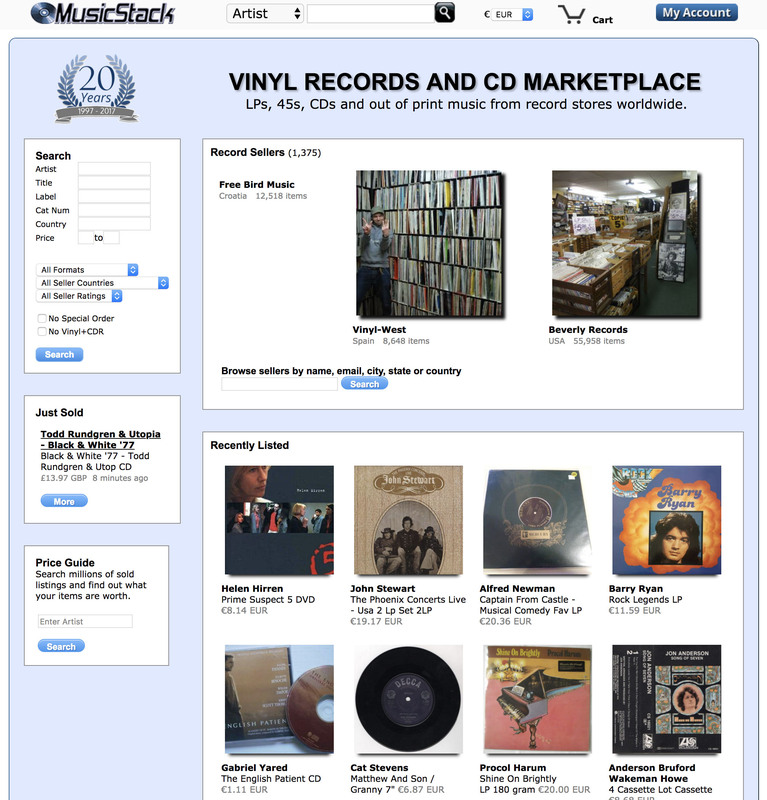 Online since 1997 with more than 1.000 qualified sellers it is one of the veteran online places where find rare vinyl. It also has a great price guide that will let you search millions of sold listings and find out what your items are worth. sGerman site with tons of vinyl, most of them, not listed on Discogs. They look for vinyl all around the world. Once, they found a big haul in Pennsylvania consisting in 600.000s 45″, which they are still uploading to their store. Esprit International Limited (EIL) it is one of the most popular stores on the Internet. EIL has been the world’s biggest and best seller of premium quality and top condition rare and vintage vinyl records, rare CD’s and music memorabilia since 1985. Japanese online store with thousands of titles. Japanese releases as well as worldwide pressings. More than 60.000 titles online. 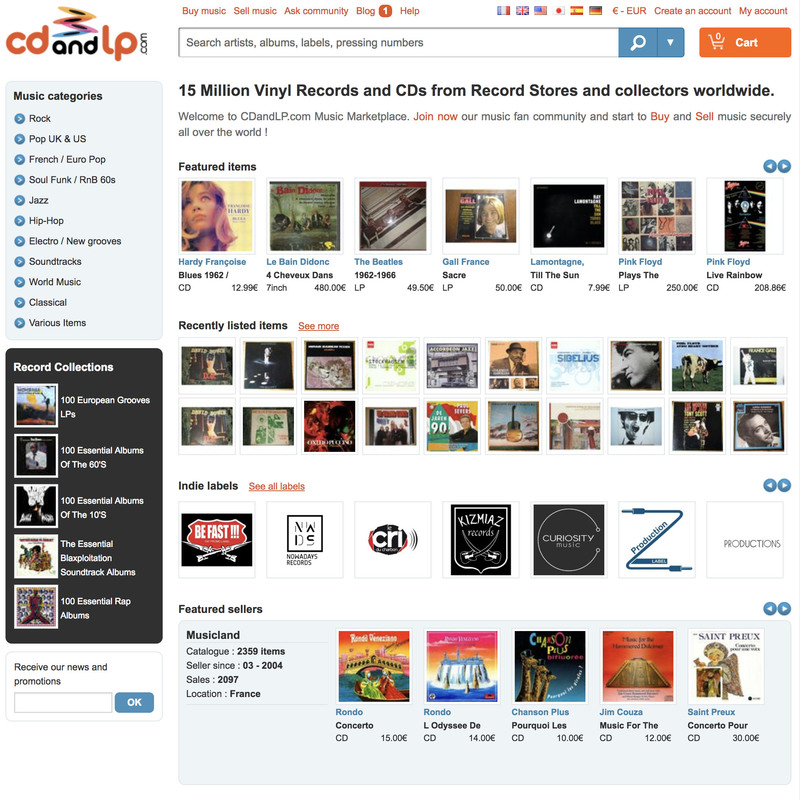 Vinylnet sells at two retail locations in the UK. They have a shop named Unknown Pleasures on The Royal Mile in Edinburgh, and Kingbee Records in Chorlton, Manchester. Both stores stock rare and collectable second-hand vinyl, CDs and DVDs. You’ll also find posters and T-shirts related to the music industry. Customers may pick up the items that they order from vinylnet.co.uk at either of these two locations (postage charges may apply). 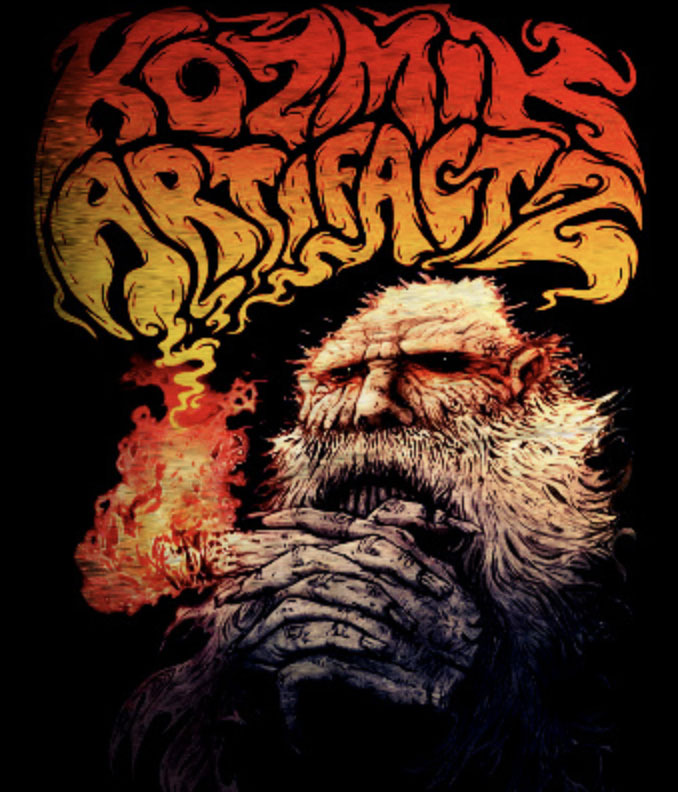 Bilocation Records/Kozmik Artifactz are specialised on high quality vinyl releases. We release only limited and handnumbered editions for collectors and music-lovers. Distros and shops please ask for wholesale prices – you are welcome. Interested bands and CD-labels please get in touch with them.